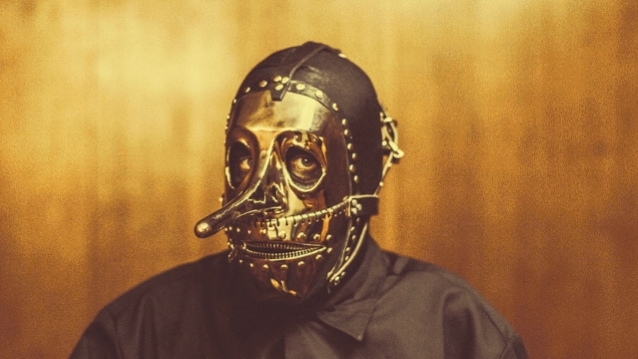 The attorney for ex-SLIPKNOT percussionist Chris Fehn says that he was forced to take legal action against his former bandmates because he was unable to get information about a number of SLIPKNOT-related businesses. On March 13, the 46-year-old Fehn sued SLIPKNOT's leaders, vocalist Corey Taylor and percussionist Michael Shawn Crahan; the band's manager, Robert Shore; and six businesses, claiming they created the entities without his knowledge. He also says that he hasn't been properly compensated for his years of touring and recording with the group. One of Fehn's attorneys, Joseph Dunne, said Fehn learned of the other businesses during negotiations about the band's upcoming sixth studio album and accompanying tour. "He thought everyone was being treated equally," Dunne told the Des Moines Register. "My client really is just hoping to figure out a way to work this out with the people he's worked side by side with for the last 20 years. "There is a lot of information out there that our client has not been able to see," Dunne said. This past Monday, SLIPKNOT made the split with Fehn official, saying in a statement that "Chris knows why he is no longer a part of SLIPKNOT. We are disappointed that he chose to point fingers and manufacture claims, rather than doing what was necessary to continue to be a part of SLIPKNOT," the band wrote. "We would have preferred he not take the path that he has, but evolution in all things is a necessary part of this life." Fehn claimed in his lawsuit that he had been told that all the band's income was being funneled through one company that split the profits between the group members. But he alleged that he recently discovered the existence of several other SLIPKNOT-related business entities through which other members were collecting more money. Fehn specifically accused Crahan and Taylor of shady business dealings and demanded a full forensic accounting done on SLIPKNOT's companies and assets, so that he could collect the damages and profits he believes he is owed. Taylor addressed the accusations via Twitter on Monday, saying: "Try being wrongfully accused of stealing money from someone you cared about, and having a lot of your fans believe it." Fehn, known for wearing a Pinocchio-style mask, has been performing with SLIPKNOT since 1998 and participated in all the band's albums. Earlier this week, former SLIPKNOT guitarist Donnie Steele spoke out in defense of Fehn, writing in a since-deleted Facebook post that was screen-captured and posted on the SLIPKNOT Reddit page: "Lol! Don't blame him... Nobody likes to get lied to and ripped off. I know first hand." He added: "And most, MOST of them can't write. In the three years I toured with them, I actually spent more time in writing sessions and the studio then I did on the road. All done behind other members' back. That's how they roll." Steele, a founding member of SLIPKNOT, left before they recorded their first album. He returned for a brief period to play bass on tour from behind the stage following the death of bassist Paul Gray in 2010.